Please consult your physician before beginning any food, supplement or meal replacement product, particularly if you have any unique or special needs or conditions, such as, food allergies, dietary restrictions with or without medical conditions, or if you are pregnant/ breast feeding. The content on this site is for informational purposes only, that of the experience of the writer, and is not intended to provide any medical advice, diagnosis, or cure/treatments. The information contained on this site is intended for educational purposes only and does not substitute for advice, diagnosis or cures or treatments by a licensed physician. It is not meant to cover all possible precautions, drug interactions, circumstances or adverse effects. You should seek prompt medical care for any health issues and consult your doctor(s) before using alternative medicine or implementing change to your regimen. Please consult your physician along the process to determine any changes to your routine are to be safe and not conflicting with the safety of your body including adverse reaction with combination of interventions or otherwise. Coaching sessions are to share the writer's experience living with Ulcerative Colitis including education, experience and results in order to provide value to the recipient of the information and support them through their process with encouragement, however, the information does not intend to take place of medical intervention at which is recommended or prescribed by a physician. Results amongst interventions vary based on age, extent of medical conditions, genetics, cognition, environmental factors, client effort and safety in application of intervention or otherwise. CLICK HERE to Check Out What I have Up Live on Periscope! 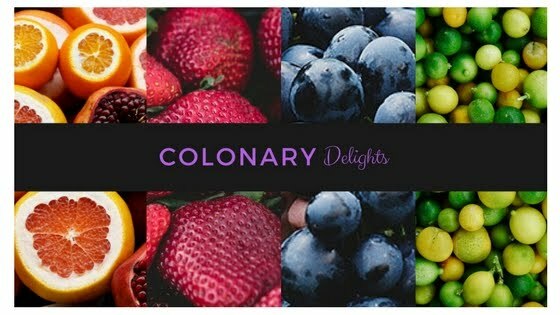 Colonary Delights copyright ALL RIGHTS RESERVED . Simple theme. Theme images by gaffera. Powered by Blogger.